SITREP | 2015 : Was A Good Year For India's Defense Programs? 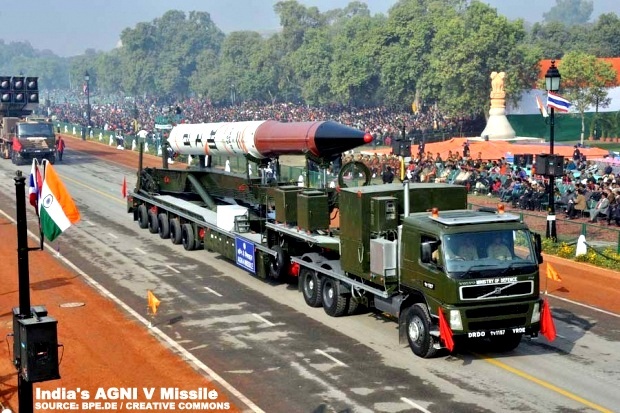 Home / Independent Media / India / Military / South Asia / SITREP | 2015 : Was A Good Year For India's Defense Programs? The year 2015 witnessed a hike of nearly 10% in India’s defense budget, from $33 billion (Rs. 2.2 lakh crore ) in 2014-15 to $36 billion (Rs. 2.4 lakh crore). India cleared a $430 million (Rs-2,900 crore) deal to buy 145 BAE M777 ultra-light howitzers from the US-arm of the UK headquartered BAE Systems in May 2015; the first artillery modernization deal since the Bofors scandal. The Indian army canceled a global tender floated in 2011 for the purchase of 66,000 multi-caliber assault rifles for the infantry to replace the failed INSAS rifles. The DRDO-designed ‘Excalibur’ assault rifles, now in advanced testing, will be replacements: 600,000 rifles, each Rs 60,000, according to IHS Jane’s, a defence consultancy. INS Kalvari, the first of six Scorpene-class conventional diesel-electric attack submarines began sea trials in October this year. It is scheduled for commissioning in September next year. All rights are reserved by the author and the original publisher.